Good For the Skin. 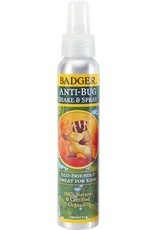 Bad for the Bug.® Badger’s Anti-Bug Shake & Spray is a totally organic & natural bug spray repellent. Using pure essential oils to naturally keep bugs, mosquitoes and insects away from you and your family. 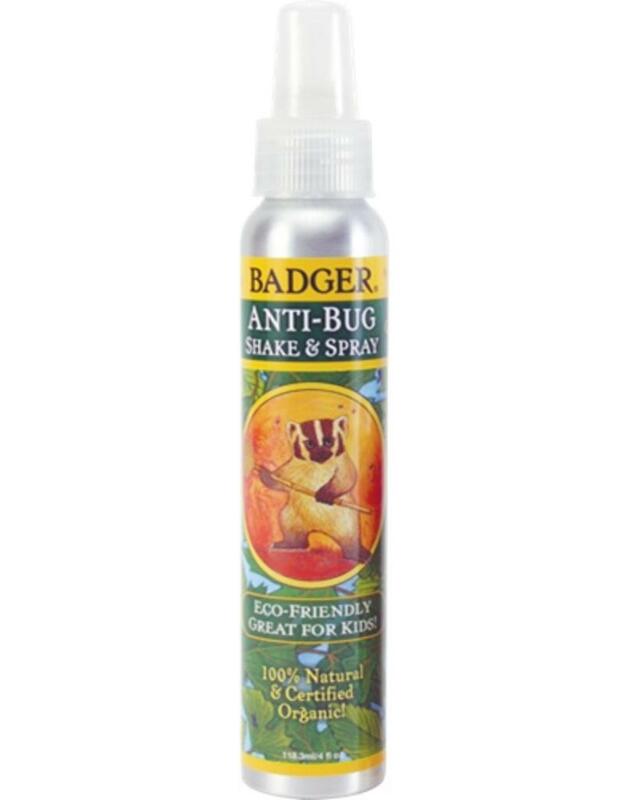 This organic Shake &Spray bug repellent naturally repels insects with the pleasant aroma of Citronella, Rosemary, and Wintergreen essential oils. 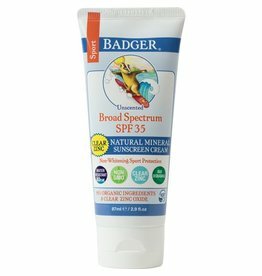 Badger Shake & Spray contains no DEET, petroleum products, or synthetic chemicals, and has been independently lab tested for efficacy - so it's safe and effective for the whole family! The sturdy, lightweight aluminum bottle is easily recyclable. Directions for use: Shake well before each use. Spray directly on entire area of skin to be protected. Reapply as needed. For sensitive skin, apply a small amount of the product to test before full use. Keep out of eyes and keep off broken or unhealthy skin. 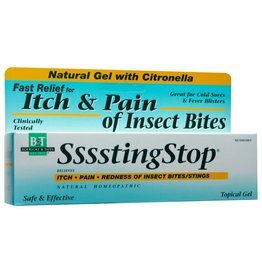 Adult supervision is recommended when using this product on children. Remember to shake vigorously before application for full protection, and re-apply as needed. Active Ingredients: 23% *Glycine Soja (Soybean) Oil, 10% *Ricinus Communis (Castor) Oil, and Essential Oils of 4% *Cymbopogon Nardus (Citronella), 2% *Cedrus Atlantica (Cedar), 2% *Cymbopogon Schoenanthus (Lemongrass), 1.5% *Rosmarinus Officinalis (Rosemary), 1% *Pelagonium Graveolens (Geranium), and 1%*Mentha Piperita (Peppermint).